Light shelfwear to edges and covers. Spine has small creases and tilt. Pages tight and clean. 352 pages. MMP Binding. Year: 1992. ISBN: 0061099325. The car fire didn't kill Navajo Tribal Policeman Delbet Nez, a bullet did. Officer Jim Chee's good friend Del lies dead, and a whiskey soaked Navajo shaman is found with the murder weapon. The old man is Ashie Pinto. He's quickly arrested for homocide and defended by a woman Chee could either love or loathe. But when Pinto won't utter a word of confession or denial, Lt. Joe Leaphorn begins an investigation. 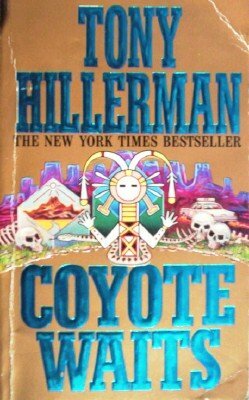 Soon, Leaphorn and Chee unravel a complex plot of death involving an historical find, a lost fortune...and the mythical coyote, who is always waiting, and always hungry.